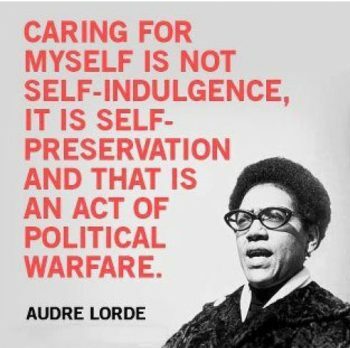 Some years ago, my colleague Rebekah Lambert and I put on a short course called ‘Self-care for the Self-Employed’ because of an aching, overwhelming need that we saw. We had a hugely enthusiastic response and, perhaps predictably, many last minute drop-outs by people who were too overwhelmed to take three hours to attend. The realities of self-employment for the majority of self-employed Australians are vastly different from the glossy magazines filled with white men at tech startups looking louche cool with the assurance of investors’ money and, conversely, the aspirational women entrepreneurs looking boho chic: thin, gorgeous, white, and wealthy. The self-employed people I know and work with have little in common with this entrepreneur propaganda. They are working long hours, taking the laptop from desk to dining table to lounge, they talk to their cats or accost the local café owner, and juggle a lot with little support. They didn’t always covet owning their own business but fell into self-employment for different reasons: they couldn’t find a job that matched their skills and experience at a liveable wage; they lost their full-time job because they couldn’t keep up with the demands of a growing family or complex health issues; they wanted to move into a new industry but found no entry level jobs, only plenty of highly competitive unpaid internships that simply weren’t possible (because, you know, people need to eat). They don’t always have much business or marketing experience and they’re not about to jump into some “entrepreneur incubator” program because they don’t have a lazy $20,000 laying around and it’s filled with young, wealthy, trendy people who make them feel more alone. They often face incredible challenges: frequent requests to work for exposure with the promise of more work in future (“we’re eating exposure for dinner again darling”); unreasonable demands from rude clients; late payers and absconded payers; lack of support; lack of maternity leave, sick leave or holiday leave; and a general bafflement and low respect from most people they meet. Superannuation is compulsory for all workers in Australia, but not so the self-employed who have no obligation and little guidance or support to prepare for their retirement. While self-care has become a buzzword, it is also essential for everyone. We are working long hours (a University of Sydney study showed that Australians work some of the longest working hours in the developed world, with one in five working more than 50 hours a week) and looking after big mortgages, young children and elderly parents as well. It’s frankly alarming how many women sacrifice themselves at the altar of motherhood, prioritising everyone’s needs before their own, and setting themselves up for a big fall as they give too much away. 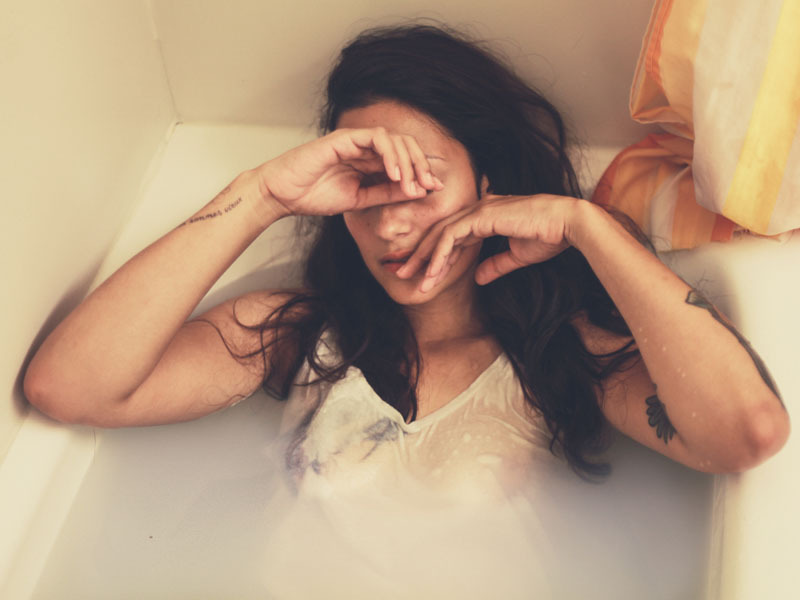 Self-care is not some hippie thing: type A personalities – those who hold down Big Jobs which routinely involve 5am gym sessions, 7am meetings, frequent flying and managing massive budgets and huge teams of people – take self-care seriously. They take time to recuperate, knowing it’s essential to their jobs. We are busier than ever, with sky-high expectations to build-our-business-be-an-excellent-parent-keep-fit-and-thin-have-a-kicking-social-life-international-travel-create-a-meaningful-legacy-give-back. I frequently hear people talk about their failure to grow their business/ lose weight/write their book/see their friends, while in the next breath, over-awing me with the realities of their daily lives. Conversations with some working friends start at, “everything is fine, life is good” before progressing to the point: they’re being woken up several times a night, every night by their kids; their partner is away, leaving them to hold down the fort while working a full-time job; they have a mad morning dash from school to daycare to office; and they spend significant time in the car in gridlock, staring in rage at the bumper bar in front of them, because the bigwig at work still wants to meet face-to-face, despite this thing called “the internet” making video conferencing possible. It’s exhausting just to listen to them, let alone to be them. There’s surely something rotten with our system when these hard working, well meaning people internalise blame. Simply put, you can’t grow your business/ lose weight/write your book/see your friends because there are too many things jostling for your time and attention. It’s not you, it’s impossibly high expectations, competing roles and ceaseless tasks. And getting up at 5am to meditate, jog or write is not the answer. “Self-care” has now been coopted from over-worked black women by marketers, to sell privileged people more stuff while imbued with a sense of righteous revolution, encouraging us further on the treadmill of our crazy busy modern lives. From Pilates to juice fasts, mani-pedis, weekends away, bath salts, ‘active wear’ and a dozen other lovely but totally unnecessary things, self-care has become, thanks to marketing, yet another expectation to try to shoehorn into an already overflowing list. The concept is sound. The execution is, at best, conspicuous displays of privilege and, at worst, narcissistic. Some people attempt to inoculate themselves from the everyday tragedies, common injustices and the hell of “other people’s opinions” and call it self-care. Refusing to watch the news less it sully your mood, closing down your Facebook account and spending time only with people who agree with you is not self-care, it’s delusion. If you live in the world, you need to learn how to deal with its complexities. Oftentimes, being more informed and involved in things that upset you is a far better strategy than burying your head in the sand because you can’t emotionally take it all in. Self-care has become just another thing that we can internalise blame for – we’re not having enough mani-pedis because we lack self-worth or have questionable priorities. Our failure to bound out of bed at 5am to meditate is our failing, not the fact that we may be overworked, underpaid, and overwhelmed. Here’s a radical suggestion: all human beings deserve water, food, shelter and basic human rights (including education and access to birth control). Everything else is optional. You don’t “deserve” French champagne any more than I don’t deserve for you to agree with me. You cannot “have it all” – that’s more consumerist propaganda coopting feminism to sell more dresses. The flip side of the “go on, you deserve it” message is that, by extension, others do not – others who aren’t working as hard as you, living the ‘good life’ like you are, trying to do #allthethings while striving to reach their ever-illusive ‘personal best’. Historically, women had very little leisure time – they were busy raising children, doing hard work for coin, to keep food on the table or, in the case of wealthy families, running households of servants. Wealthy men had leisure time – splendid swathes of untethered time that’s essential to deep thought, creativity, study and invention. There was plenty of time, glorious time, to wallow in, while pesky things such as child-rearing, cleaning and cooking were done by other people. Nowadays, we tether ourselves to devices that count how many steps we take in a day, in order to beat ourselves up for not reaching the requisite 10,000. We are being mislead. Ask yourself, are you buying into the marketing message that you “deserve” a massage, spa or mani-pedi, because you work hard? Or could, in fact, the real problem be that you’re struggling to command a fair price for services rendered, be paid in a timely manner, manage your household, and make time for fun and creative pursuits as well? And that as a result, you’re (understandably) overwhelmed, angry, tired, and emotionally depleted? The corrosive effects of chronic sleep deprivation are also insidious – it took a good year and a half before I recognised that my mojo was missing in action following the birth of my second child and my attempt at keeping all balls in the air in my business and life. Chronic sleep deprivation and emotional depletion causes us to stay on the treadmill, unable to save ourselves. At the crux of self-care is rejuvenation, not relaxation. Relaxing may be far from rejuvenating, depending on your personality. Start looking after yourself properly by getting curious about your particular psychology, so that you know what works for you (and you alone). I know, I know. You have so little time. But volunteering is not only “good” for other people, it has very selfish, positive benefits for the volunteer. I’ve found taking up new hobbies to be hugely beneficial to my stress levels – namely, woodworking and rock climbing. Do something with your hands if you’re normally in your head or something with your head if you’re normally using your hands. When you’re feeling squeezed from all angles, call a friend – not to dump on, but to praise. Tell them you love them and why. It works wonders. The effects of our environment on our mood cannot be overstated. You can manipulate your environment many ways – from simply standing up to make phone calls, to setting up a separate workspace at home or spending a few days a week in a co-working office. Food affects mood. You don’t need to buy expensive organic superfoods to eat healthily. Food can be a panacea, but it should also be pleasurable – resist using healthy eating as another whip with which to thrash yourself. If you’ve won the genetic lottery in life, you don’t need to assume the guilt of the world. There’s nothing more tragic than someone squandering their good fortune with incessant guilt, worry, and overwork. When driving my kids home from school, I love to ask them about the best thing that happened to them that day. They get to relive good experiences, which helps to turn these into long-term memories, practice gratitude habitually, and I have the pleasure of sharing some of their day. If monitoring particular businesses makes you feel bad rather than inspiring you to create something remarkable, then stop being a sadist – unsubscribe, unfollow, turn off. You don’t have to do things because it’s what your clients want, what your competitors do, or “the way it’s always been done.” You have more control than you may think. Changing my process from hourly rates, billed in arrears, to project fees and fixed packages, billed up front, worked to halve my stress. Your children, spouse or partner, clients and friends will set their own expectations of what they want and need from you. It’s up to you to better manage these people’s expectations if you’re to begin setting your own. It is hugely difficult to do deep thinking, productive study, and creative pursuits when you’re attempting to shoehorn these into tiny pockets of time. Be uncompromising in setting aside a half-day a week away for a CEO day. Leave your normal work environment, go somewhere beautiful that has minimal distractions and you’ll be amazed by where your business goes. We can’t love every minute of every day. But to be able to choose the nature of your work is a privilege. Don’t swallow the “do what you love and you’ll never work a day in your life” codswallop – it justifies workaholism and is used to exploit passionate people to work for free or very little. But if you frequently find yourself angry, resentful, or depressed, consider whether it’s the nature of your work. Could you change what your business is doing so that your work becomes an expression of your self-care? This article owes a huge debt of gratitude to many people, most notably Kelly Diels, for saying what we feel but can’t quite articulate. If you need help to reorganise your work and reboot your perspective to minimise stress and maximise profits and joy, consider my business coaching services. Oh Brook – what a welcome Easter message. I laughed out loud with this blog, as I am that self employed studio owner & teacher who was thinking, “Yeah, I don’t have any classes to teach today, so should I write this contract I didn’t get time for yesterday, clean my studio or sort out the rolls for Term 2 dancing?” those were literally the choices I gave myself, all the while with my cat at my elbow while looking at my laptop. And I didn’t finish working until 10.30 last night. I’ve been debating whether to spend the entire day working, or whether to go to my sister’s house for the night (where she has 2 sick teenagers at home & could use the company). Your number 3 reminded me that my self care is my family and a walk on the beach with my sister is the most important thing I have to do today. Thank you for this blog – it makes me feel very connected to a whole lot of women who are living the same life as me, and grateful that I had the option to choose this lifestyle, which is actually pretty amazing in so many ways. Glad to hear Nerida! Aren’t we strange creatures, us self-employed people? Glad to hear you spent the day with your family. My work here is done! Great article Brooke. Wish I’d had access to your thoughts when I was running my business. Thank you Jenny! Thanks for reading.